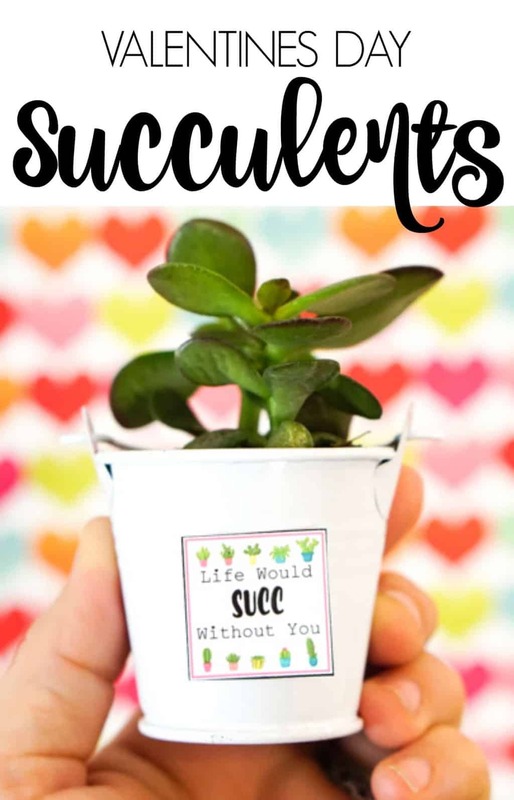 Life would SUCC without you! 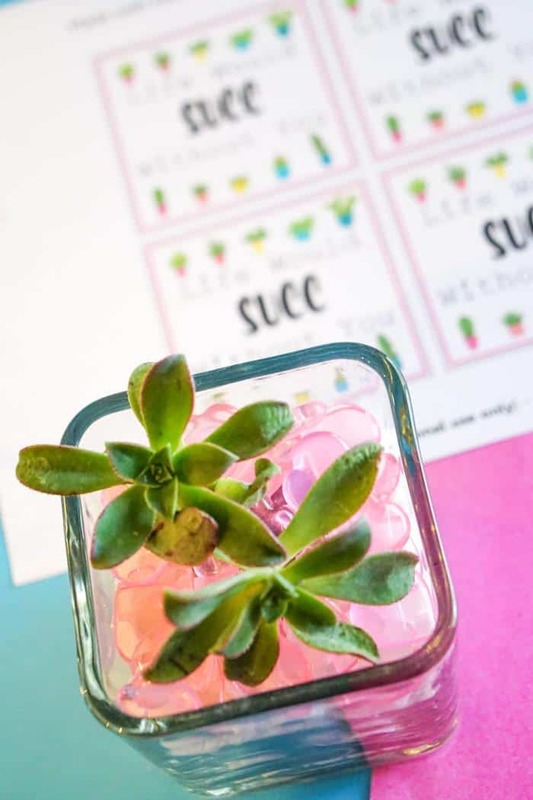 We’re sharing the cutest Valentines Day Succulent with this printable. I’ve mentioned this is the past, but our kids school has crack down on celebrating holidays and birthdays at school with sweet treats. The kids are able to celebrate, of course, but they ask that we don’t bring in cupcakes or sweet treats, rather a non-candy treat for celebrations is preferred. This of course makes us turn to non-candy Valentines ideas for each of the kids. 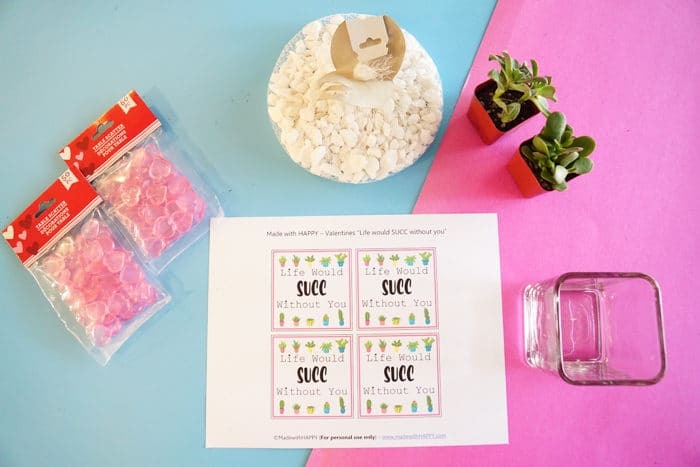 We have some really fun non-candy Valentines Day Printables like…. My older babe recently asked me if she could give each of her classmates a flower or plant of some sort. Realizing this could give a bit pricey with each succulent being $5 at the big box hardware stores, I was one the hunt for an alternative. We stopped by the 99 cent store, and low and behold, they carry tiny succulents. From there, we headed to the vase section of the store as to grab rocks, and then in the wedding section, we found these cute little white metal pales that came in packs of 4. We also bought a few slightly larger glass vases for her teacher too. Simply print out the Valentines Day Succulent Printable below. Scissors – Here are my favorites. These little beauties are simple to put together. 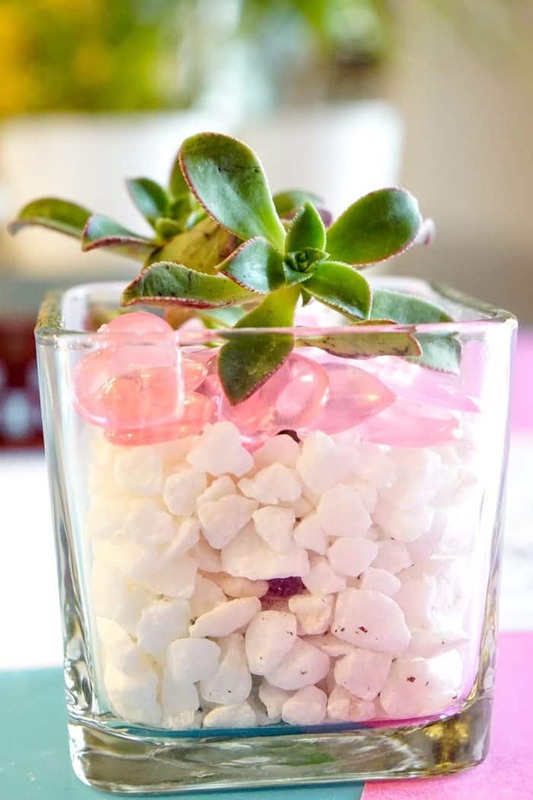 Simply replant your succulent into the pails or the glass vases. Place your rocks around the succulent and along the top. Using the crafting tape, tape the printable along the side of the vase and viola! PIN IT TO YOUR VALENTINES BOARD ON PINTEREST! I also want to point out one of the things that I mentioned above about giving your teacher a Valentines Day Card. I realize that it may not be where you want to give your kids teacher the same Valentines Day card as you would a child, ie. Bubble Valentines, or Play Doh Valentines, but we absolutely cannot forget to give our teachers something. 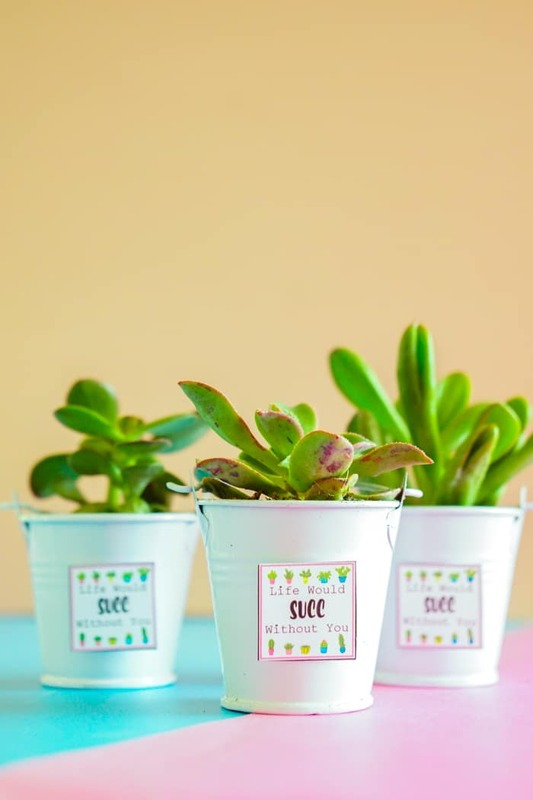 I really like the idea of the sweetheart flower pot to give to the teacher or these Valentines Day Succulents, but please, please, please do not forget to make something for your kids teacher!